I finished “Underworld” by Don Delillo yesterday on our 80’s style exercise bike. It probably took me 6 months to finish, and 3 years to pick up. My older brother Russell gave it to me with a strong recommendation – which means a lot. A few months ago a friend invited me to hear Delillo speak – then the friend didn’t come 🙂 So, I was in the room with a bunch of students who had to be there, a bunch of professors, and a few non-university-types who clearly love his books. At the time I had only read White Noise, and was just getting into Underworld. It is a long book – centered around the Cold War through the lens of a young man named Nick Shay. The breadth of this book is amazing. The Thomson/Branca baseball plays an important role – and eventually ends up in Shay’s hands. I need a year to process this book. There is significant time spent with J. Edgar Hoover, a fictional famous artist, a spray-painter in NYC, and Lenny Bruce. I will say this – my 3 evaluation lenses for media all call this an outstanding piece of art. 1. Is it a good Story? Absolutely, we never lose sight of the Cold War and we never lose sight of this man trying to come to grips with his father wounds. 2. Morals? I think Underworld faithfully represents man’s potential for glory and for violence towards neighbor. 3. Do people change?/How do they change? Yes, but slowly, and a lot is necessary! I am glad I read it. I don’t know if I recommend it – it is very violent, occasionally very sexual, and incredibly long. But, if none of that puts you off it is very worth the read. Here is what I wrote down from Delillo’s lecture at SLU. “Underworld just had to be a monster, and I followed it.” Many great authors describe their stories as things already in existence that they simply wrote down because they had to. Tolkien is like this. Part of me is cynical, but I found Delillo neither proud nor humble – he is simply a writer. 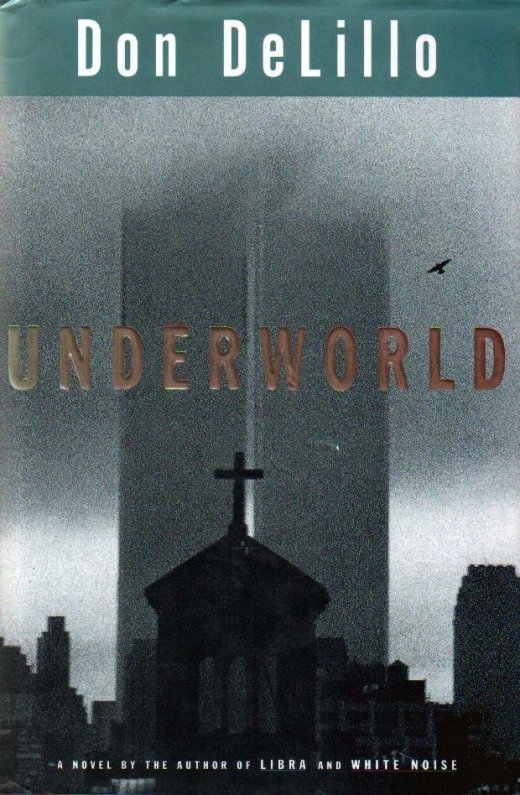 “There is something about a historical event and its mark on a human soul that fiction can talk about and historians/journalists can’t.” In addition to Libra and underworld, Delillo has written about 9/11 in his book “Falling Man”. Thanks to Brian Janous for helping me to read White Noise (through our now defunct Book Club), and thanks to my brother for buying me Underworld.